This was originally posted by Freddy in many other threads. Ive updated some of the information and am posting it here so the information isn't lost in random pages of many other threads. This is where this information will be updated, so if you see this list in another random thread the information will most likely be outdated. Freddy and I both have access to this post in the thread so he can update things as well. Based on my research over the weekend, here are the results. Every PS2 Online Game hosted by GameSpy (besides the untested games listed at the bottom) has been tested on both GameSpy & OpenSpy. Bottom line, if a PS2 GameSpy online game REQUIRES a "GameSpy ID Login Account" (Nickname, E-mail address and Password) in order to play online, it does not currently work on OpenSpy. Using OpenSpy, GameSpy ID Account Creation does not work on ANY PS2 online game at all. 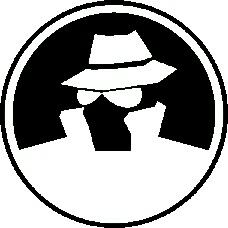 If OpenSpy adds a working GameSpy ID Login database/server, then the ENTIRE PS2 GameSpy library will work on OpenSpy! All PS2 online games that currently work on OpenSpy DO NOT require a GameSpy ID Account Creation in order to play online. 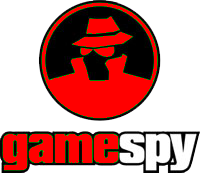 There are just a few games which do not require GameSpy ID Account Creation for online play, but still won't connect to OpenSpy. These games are Area 51, Cold Winter, Godzilla: Save the Earth, Star Wars: Battlefront II, Trivial Pursuit Unhinged, Warhammer 40,000: Fire Warrior, World Poker Tour, World Series of Poker and X-Men Legends II: Rise of Apocalypse. While using OpenSpy, you can access the online mode and host games on Star Wars: Battlefront II, Warhammer 40,000: Fire Warrior and X-Men Legends II: Rise of Apocalypse, but these hosted games DO NOT post to the OpenSpy Status Pages. While hosting an online game on Warhammer 40,000: Fire Warrior through OpenSpy, an error message is eventually received reading "The game could not be registered to the GameSpy Master Server." Accessing the online mode of X-Men Legends II: Rise of Apocalypse through OpenSpy, you are first directed to a "Region List" which is completely blank. You can press X to bypass this page to Host/Join a game. However, hosted games on OpenSpy do not post to the OpenSpy Status Page. It's unclear whether or not World Poker Tour is offline as a result of the recent server terminations, since 2K Sports' other GameSpy game, Top Spin, is still online. On World Poker Tour, an error message is received immediately after DNAS authentication reading "The Online Server cannot be accessed at this time. Please try again later." Midnight Club 2 works with OpenSpy and does not feature DNAS, making it "Online Forever" through means of OpenSpy and LAN tunneling, along with Tony Hawk's Pro Skater 3 and Tony Hawk's Pro Skater 4. For some reason, the Tony Hawk Series for PS2 is BACK ONLINE through GameSpy's normal servers. The normal online lobbies are now accessible. However, a special DNS server is still needed in order to receive the Message Of The Day. So I tried my copy of Delta Force: Black Hawk Down and it will not connect online normally, with bobz dns 1, or with openspy dns 1. Every time I get a "disconnecting from internet" message after the dnas check, so I am wondering if something else for this game has been shut down and is causing it to now work online. Also, mytho and I tested sniper elite and it works with dns 1 of openspy, but not dns 1 with bobz server. Other openspy games like cod2 bro are working now on bobz dns 1 though. The list needs to be updated. Ultimate Alliance is working with openspy. Gauntlet seven sorrows is totally not working. on openspy or gamespy NTSC version. I tested Gauntlet: Seven Sorrows last night and can confirm that it does not work over OpenSpy. I updated the status of Gauntle Seven Sorrows, but didn't change Marvel Ultimate Alliance yet. Hogwarts says it works with openspy, but thought Mytho said he tested it and it didn't work? I need to clarify what I said about Marvel: Ultimate Alliance. The game works fine over OpenSpy, but only to a point. When I tried to actually play a game with noonotthat, we were able to connect with each other, but the game would momentarily freeze and drop the client after 1-2 seconds. Now that I own a disc copy of Ultimate Alliance, noonotthat and I are going to test the game out again at some point. Has anyone Tested Cold Winter? Its currently the only other online game that I have with me until July (or until I get my XLink setup).